Do You Need to Transport Live Animals? Slovak-Dutch company Compaan, spol. s.r.o. is a member of COMBO GROEP having its head office in the Netherlands. 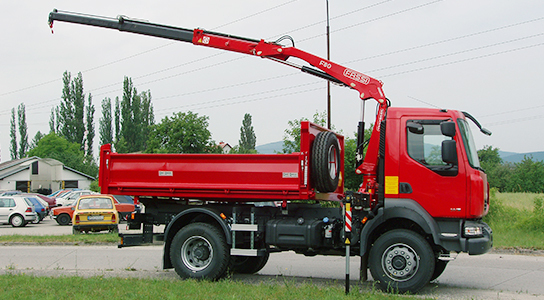 The group belongs to the leading manufacturers of truckbodies and it gave our Slovak company its unique know-how and technology. 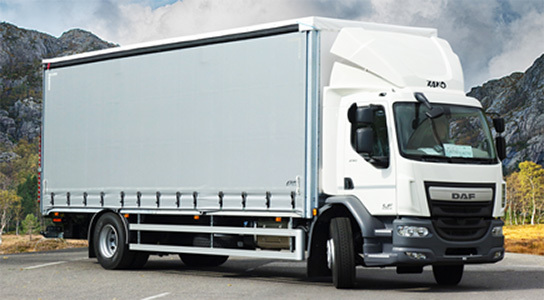 We produce platform truckbodies for all types and weight vehicle categories. 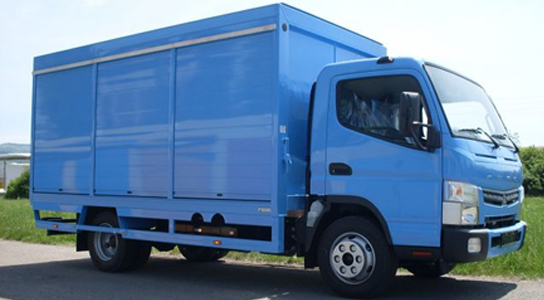 Open platform truck, tarpaulin platform truck, side and roof winding systems, supplied with rear doors, second floor enabling to load cargo onto two floors or possibly by flap with a hydraulic tailgate mounted. 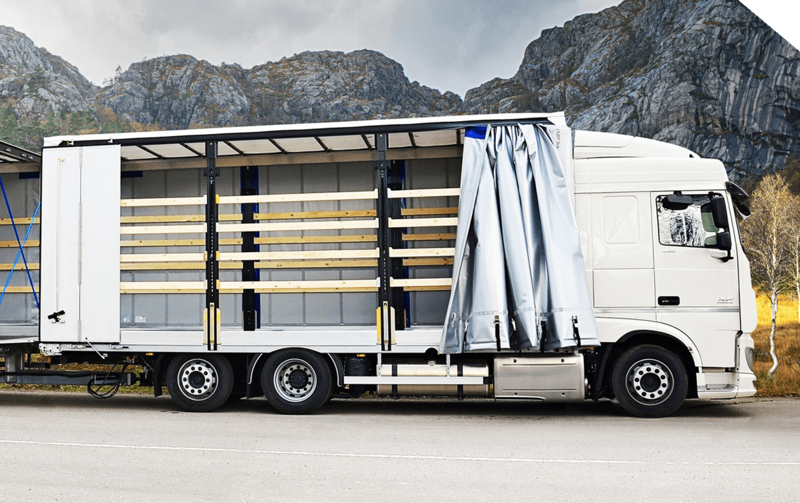 Roof lifting system enables to load goods up to 3 metres high. COMBI-System uses the profiles of special aluminium composition, our body material is extremely strong. 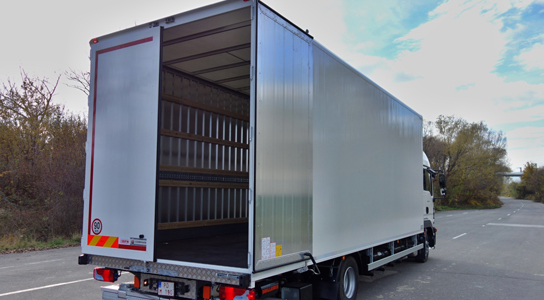 The truckbody comes with a single or a double wall of any possible size, equipped with doors or platforms based on your need. 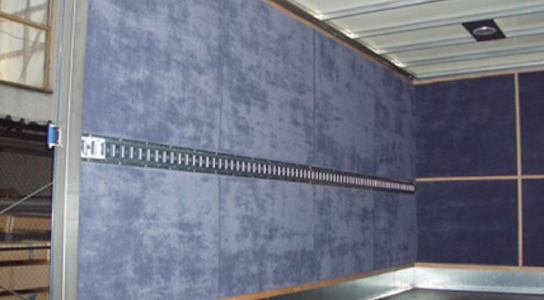 The truckbodies are made of insulated panels with laminate treatment. Floor can be poured or aluminium made from one piece of metal sheet. Protective kick strips are standard in each truckbody. 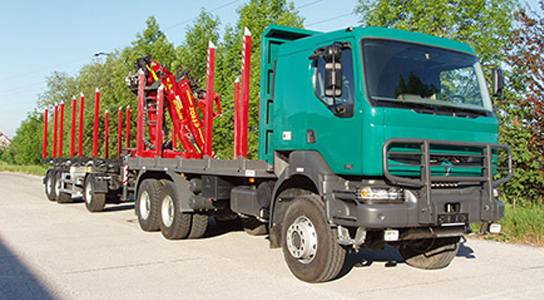 Our company also specializes in tilting truckbodies and offers a wide range of one-sided, two-sided or three-sided tippers. 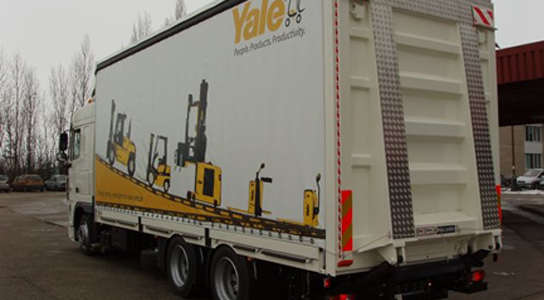 We mount the bodies to trucks starting from the least load capacity of 3.5 t up to the biggest ones. 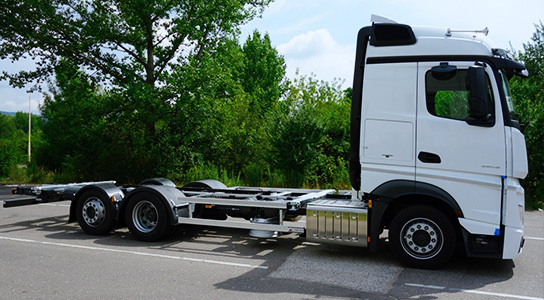 A whole aluminium body is suitable for transport of vehicles. Low body weight from 350 kg depends on a type solution. To transport water barrels we recommend whole aluminium bodies made by HESSE company. 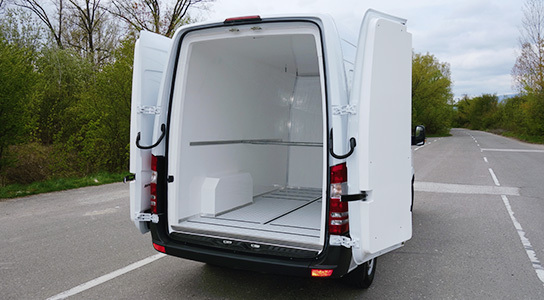 These are divided into bays with roll-up doors locked on side of the body. 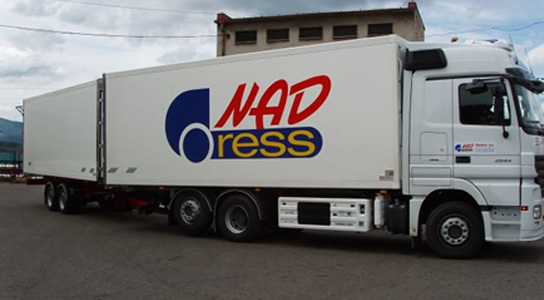 Swap body systems have been used in transport industry for years. 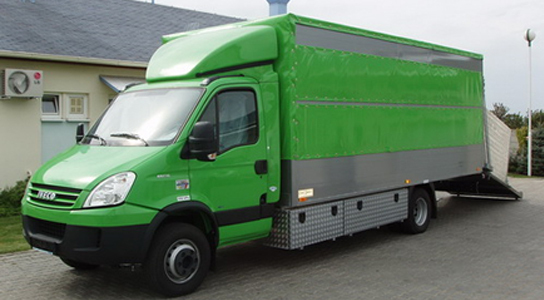 Compaan has been making swap bodies for vehicles since the company entered the Slovak market. We make carriers for all kinds of chassis. Container locks with one adjusted height, or possibly with three heights. Lifting container by air lifting cushion can be added. 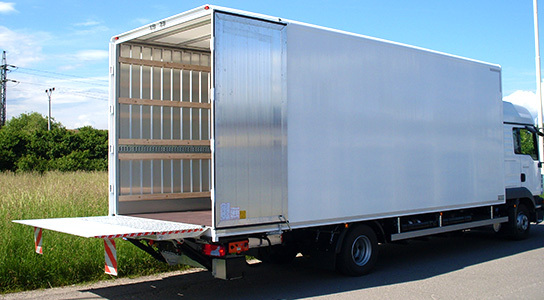 Timber transport body is a strong and stable body specially designed for maximal use in timber transport. COMBI-Animal meets all requirements of transport of live animals. It includes air ventilation while in motion or stationary, necessary sqm for individual kinds of animals, their feeding during transport, showers, collecting containers and so on. 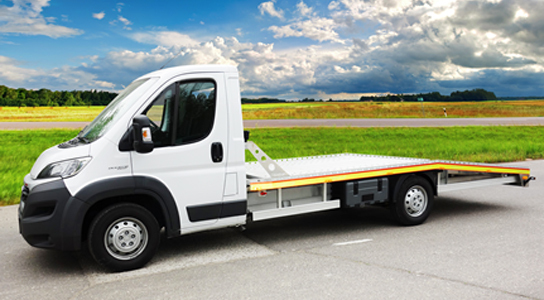 We can make a truckbody with one or two lifting floors. The special is a form of architecture with high quality work-out using the most up-to-date technology where every single square centimeter counts. All these aspects, of course, are in line with client’s request. We also have a solution for you – to insulate the space with proper insulation material and then cover it with laminate suitable for contact with food. Do you need to turn your body space into something special for example a workshop, a dorm room, a kitchen, a shop or something else? You are then in the right place. built-in in production and operation halls and warehouses. There are used for construction industry, transport of scrap metal and garbage, transport of wood timber, special containers, and so on. 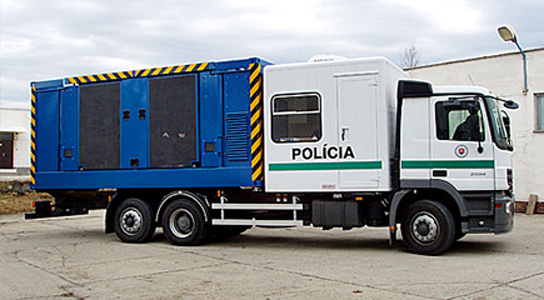 A hydraulic platform come very handy in manipulation with goods or putting goods from one truckbody to another one. Compaan company has its own modern paint spray shop where we can paint bodies and chassis with any colour you wish. Based on request, we can also supply any signs or graphic designs consulted with an advertising agency. COMPAAN spol. s.r.o. with its headquarters in Nováky and the production plant in Prievidza started in 1994 with support of Dutch home company Compaan. 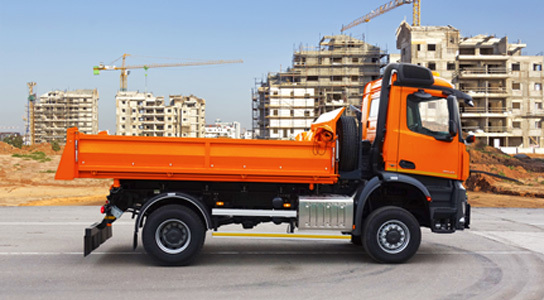 Since then the company has been engaged in innovative production and mounting bodies to all kinds of truck chassis. 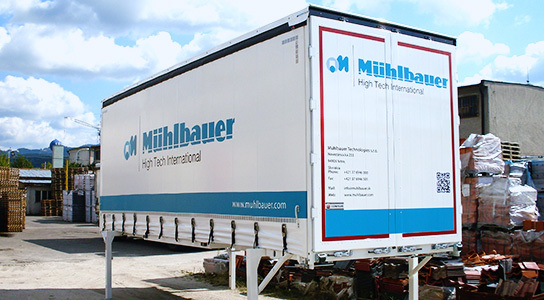 With production over 3 000 bodies on chassis of trucks and commercial vehicles such as platform truckbody, light box truckbodies, truckbodies for transport and towing of other motor vehicles, refrigerator truckbodies, special truckbodies as well as hydraulic arms, platforms, …. our company belongs to the most stable company of this kind on Slovak market. We have our own development.